We have a lot of inclement weather in Seattle, famously of course. I’ve been getting out and exercising more lately, and I’m rediscovering my cold weather and wet weather running gear. There are a couple of items that stand out. First, I love my Patagonia Flyer Gore-tex running jacket. Let me count the ways! It is so amazing. It’s ultra-light weight and I don’t feel like I’m wearing a rain coat at all. It’s slim fitting, so given that I found the right size (M) it doesn’t flap around like a lot of looser rain coats. A looser rain jacket is great for casual wear, but for running, I love the slim fit. It doesn’t have a hood, which again is idea for running. I have no interest in running in a hood. I find a baseball cap is perfect for keeping the rain off my face. They discontinued it for a while, but it looks like it’s being sold again. It’s regularly available on eBay for about $100. I have it in silver. Second, my sister bought me some Sugoi Women’s MidZero Tights . I’d always thought of Sugoi as a biking company, but their running tights are rock-awesome in cold weather. 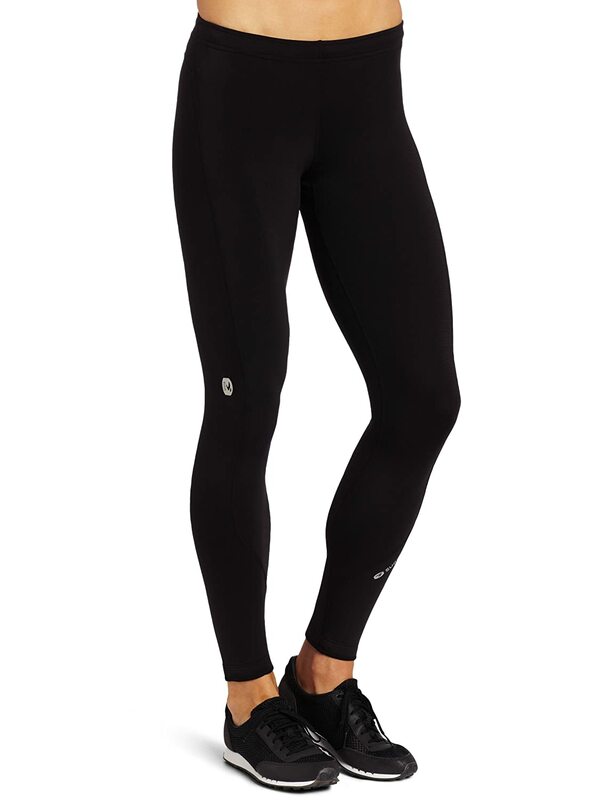 These are warm tights – strictly for 42 or 43 degrees and colder – and then only in overcast, rainy or windy weather. I haven’t been pushing too hard on my runs lately since my cardiovascular system is in better shape than my muscular/bones/joints (due to lack of weight-bearing exercise during pregnancy). If you’re pushing hard, they’re ideal for low 30s and colder. Anyway, they’re super-soft and stretchy and work really well on my non-curvy shape. If you are hour-glass shaped, these may not be the best choice. If you have a large waist and don’t like to be cold, these are fabulous. I loved these tights so much I bought a pair of Sugoi Jackie Capri Tights , hoping I’d like them as much. I was not disappointed. They are by far the most comfortable of the capri tights I’ve tried, though admittedly, I haven’t tried that many. I’ve never bought a long-sleeve running shirt, but once I run my first 5K, I plan to reward myself with one, probably Sugoi. I ran 2 miles yesterday and today, so I’m slowly and painfully making my way back to fitness. Today’s run was no picnic with 43 degrees and steady rain and of course my neighborhood hills. This entry was posted in Great Things, Running on January 5, 2015 by admin.